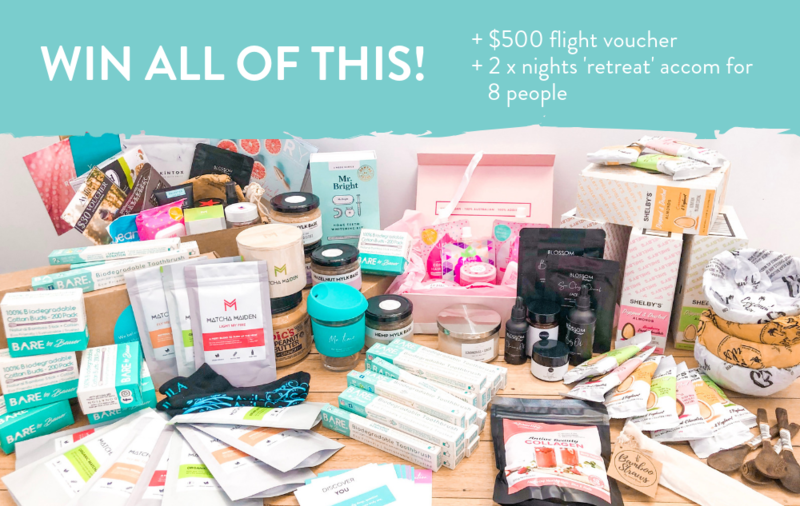 WIN ALMOST $4000 WORTH OF PRIZES! Giveaway is open for entries from 6PM AEST 11/04/2019 and the cut-off for entries is 24/04/2019, 11:59pm AEST. Winner will be announced via email and Instagram at 6pm AEST 25/04/2019. Winner must claim prizes within 2 weeks. Prize pack value is valued at approximately $4000. Prize will be delivered to winner within one week of claiming prize. We reserve the right to cancel any entries or vary the terms and conditions of this giveaway. Entering our giveaway includes subscription to the Retreat Yourself Box email newsletter and also to the newsletters of the brands involved in the giveaway. You must enter with a valid email address. You can unsubscribe at any time. Please remember that all brands are small, Australian brands. If you want to unsubscribe, please do so with respect. The competition is open to residents of Australia and aged 18 years or over. Each entry must be made in accordance with the Terms and Conditions. The Competition will open at 6PM AEST on 11th April 2019 and will close at 11:59 AEST on 24th April 2019. Winner will be announced on the Wellness Giveaway Instagram and via Email at 6PM AEST on 25th April 2019. Each entrant is allowed to enter via Instagram and also via Landing Page.